The SQL GROUPING_ID is one of the SQL Aggregate Function, which is used to compute the level of Grouping. This function will return the integer value. 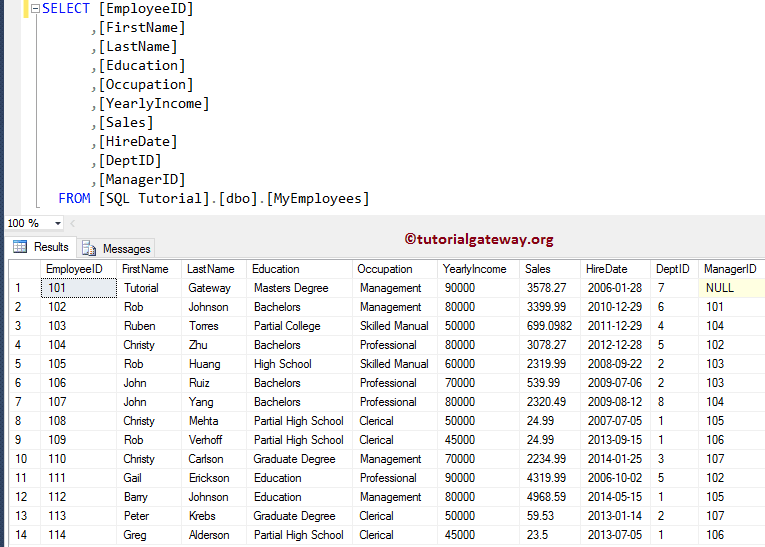 The Grouping in SQL Server simply returns the level of grouping on the specified columns. In this example, we will show you the same. 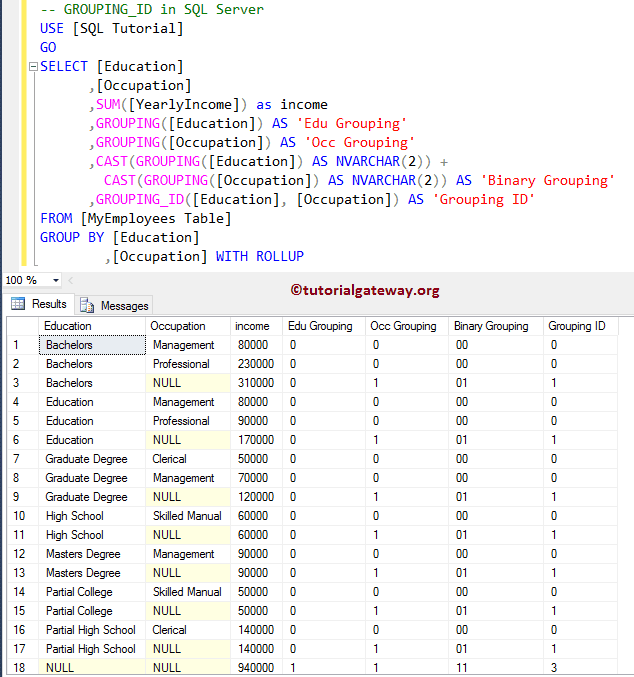 Next, we are finding the SQL Grouping Id of Education, and Occupation. This is equal to the integer value of Binary Grouping.